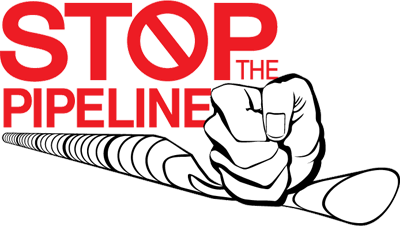 Urgent action is needed to stop the Constitution Pipeline! FERC is moving forward with the approval process despite the fact that the New York State Department of Environmental Conservation, the federal Environmental Protection Agency and the Department of the Interior have asked for an extension to the comment period. These agencies, along with some 60 local and national organizations, including Catskill Mountainkeeper, have signed onto letters requesting an extension because of several factors, “including but not limited to the size and complexity of the proposed project and its DEIS. Also the public cannot evaluate the impacts of the proposed project without all of the required information and documents.” The comment period ends April 7th even though we have not seen, among other documents, the upland forest mitigation plan. How can landowners judge the impacts of the nearly thousand acre clear-cut swath without the mitigation plan? The proposed pipeline is not in the interest of the region. Seventy five percent of the landowners in Delaware County have refused to lease to the pipeline company – this is not a story of a few holdouts. The pipeline is not in the interest of New York. This pipeline would act as a critical connection for the massive build out of the Marcellus and Utica shale fields and conduit for Pennsylvania fracked gas. This pipeline is not in the interest of our country. It will enable the industry to send the gas to new markets and export facilities to drive the price of gas up for their bottom line and prolong our addiction to fossil fuels. get out to the hearings so your voice can be heard. If you go to a hearing please ask for an extension of the comment period and then offer your specific critiques. To learn more and make comments, visit http://www.stopthepipeline.org.